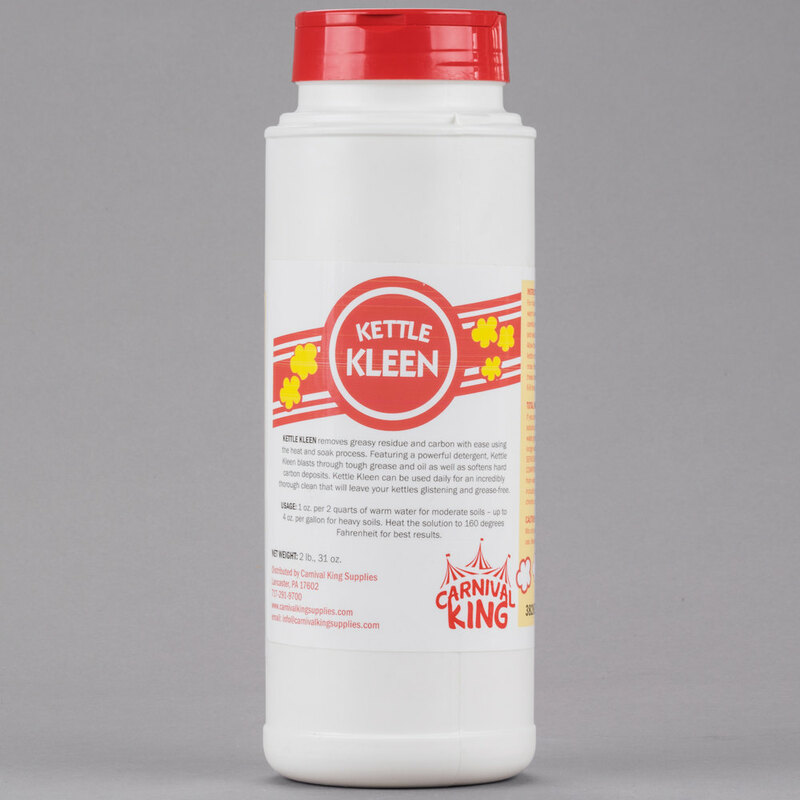 Ideal for cleaning the inside of your popcorn popper, this Carnival King Kettle Kleen popcorn kettle cleaner removes tough grease and oil build-up with ease! Simply mix 1 oz. of Kettle Kleen with 2 qts. of warm water, stir to dissolve, and pour into your popcorn kettle to heat and clean. Great for your busy concession stand, this cleaner allows for daily cleaning, and it is safe for use with all metals. Kettle Kleen is also safe for use with sheet pans, cookware, and racks, and will not harm coatings on pans. Carnival King is a brand you can trust for a cleaner that will blast through grease and oil and soften hard carbon deposits, leaving your popcorn kettle looking cleaner than ever!